SKC Webinar: Don't let your video and voice network frustrations get you down. Are your voice and video networks working for you? Do not let the day-to-day frustrations and pain points knock you down. 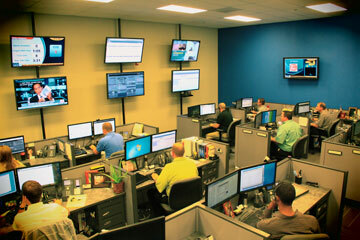 Utilize SKC's Service Solutions to solve your problems and turn your network into a hassle-free environment. Join SKC for a webinar on Wednesday, October 17th to learn more about SKC's Service Solutions and the remedies available to solve your video and voice network issues. What Service Solutions does SKC provide? Time will be allotted during the webinar for questions. We will be giving away a $50 Amazon gift card. The winner will be announced at the conclusion of the webinar. If you have any questions about the webinar or would like a copy of the recording, email SKC Marketing.